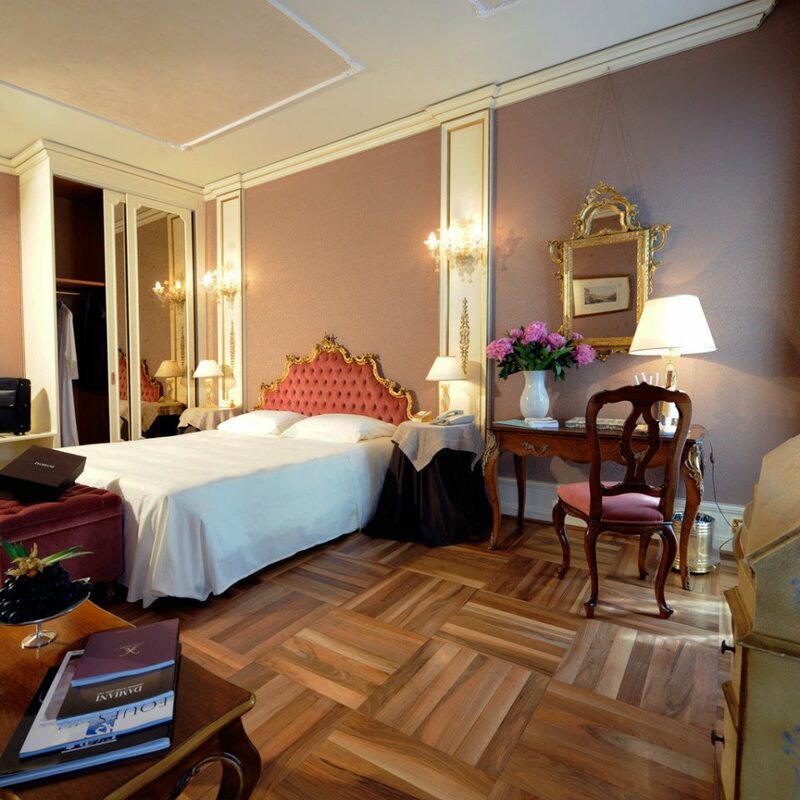 With its pink façade rising majestically above the Grand Canal, Ca’Sagredo, a 14th-century noble residence turned five-star hotel, is hard to miss. 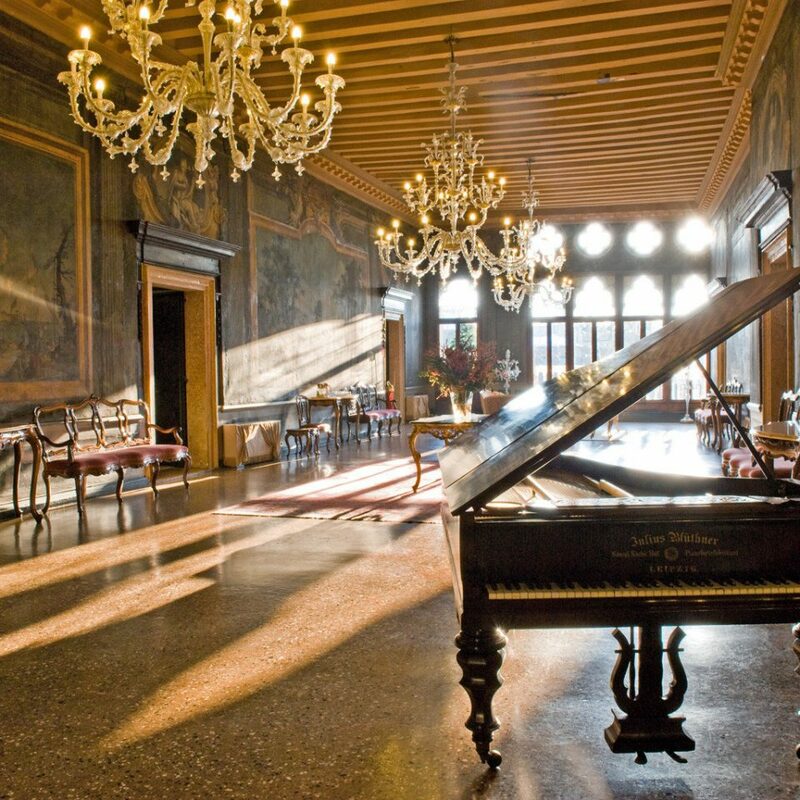 This unique property offers a chance to experience Venice’s rich history firsthand. 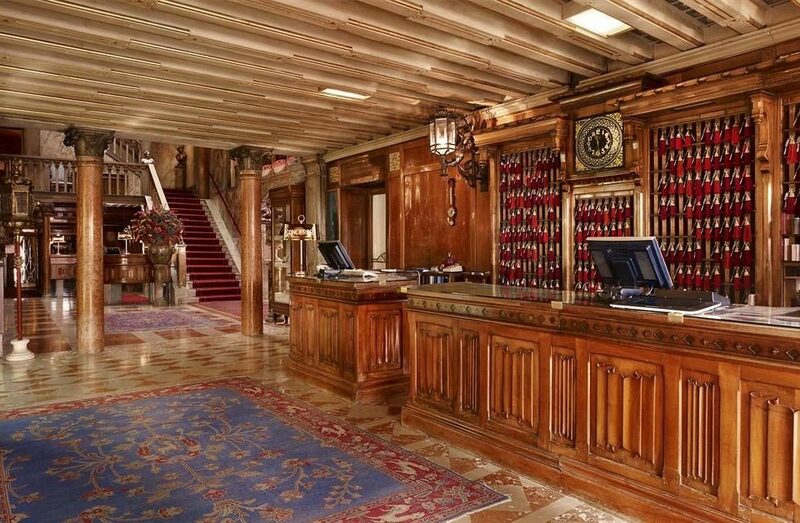 Step off the boat at the property’s very own vaporetto stop and into the marble entrance, which has welcomed distinguished Venetian nobility for centuries, and you’ll be greeted by a grand staircase, ornate chandeliers and museum-worthy antiques. 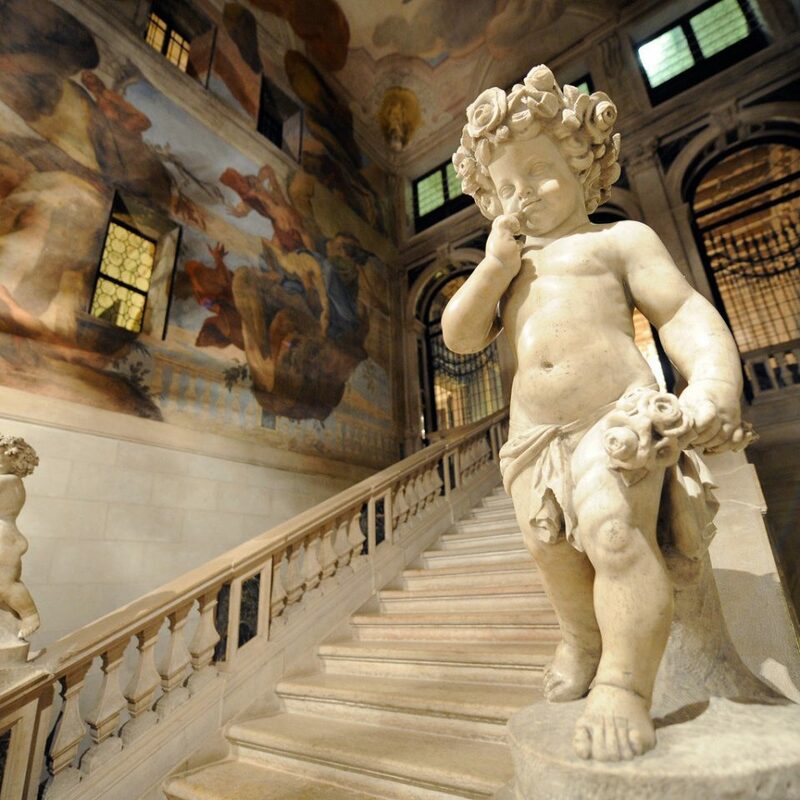 You could take the elevator to your room, but climbing the grand staircase and admiring the hand-painted frescoes on the walls is a far more enticing option. 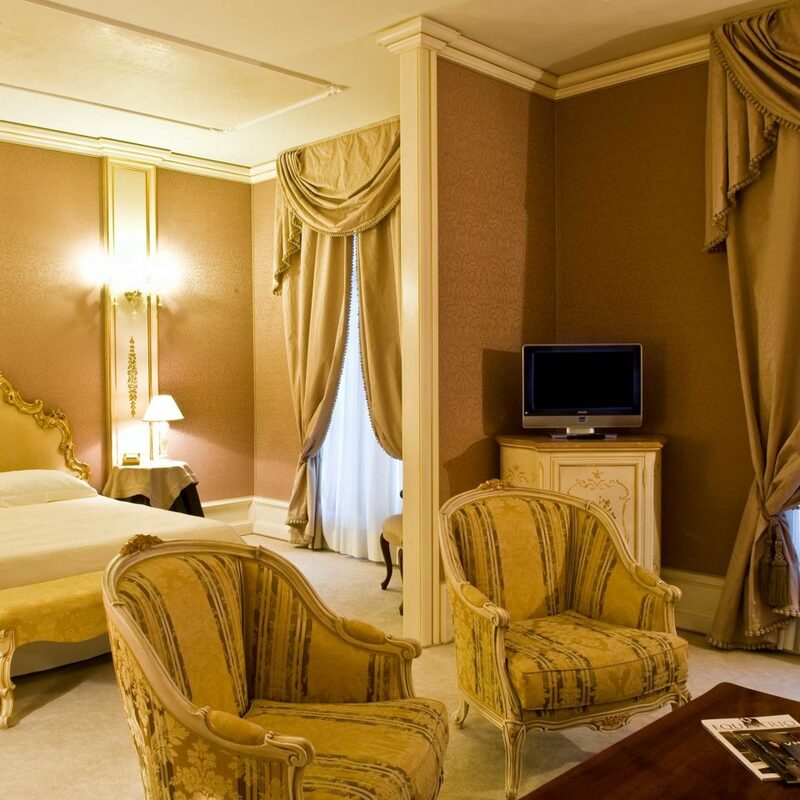 All 42 rooms and suites define Old World elegance, offering such ornate touches as plush dressing areas, gilded headboards and antique furnishings. 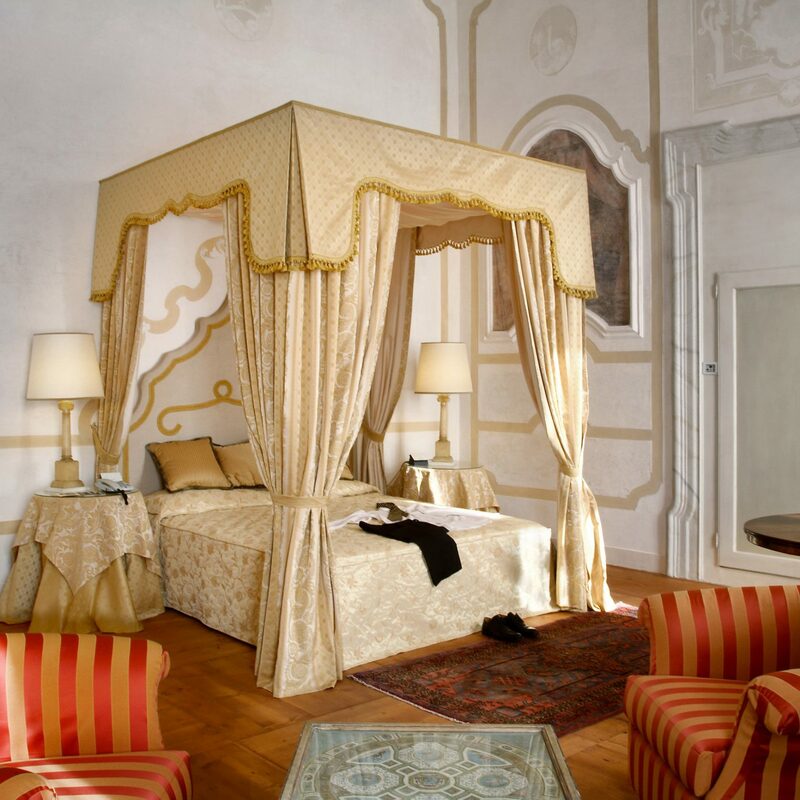 Like Venice itself, the rooms have an unmistakable air of romance. 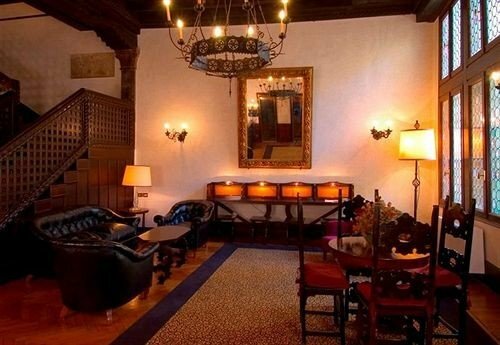 The decor is elegant without being stuffy, ancient but full of luxurious upgrades — in short, Venice for the modern traveler. 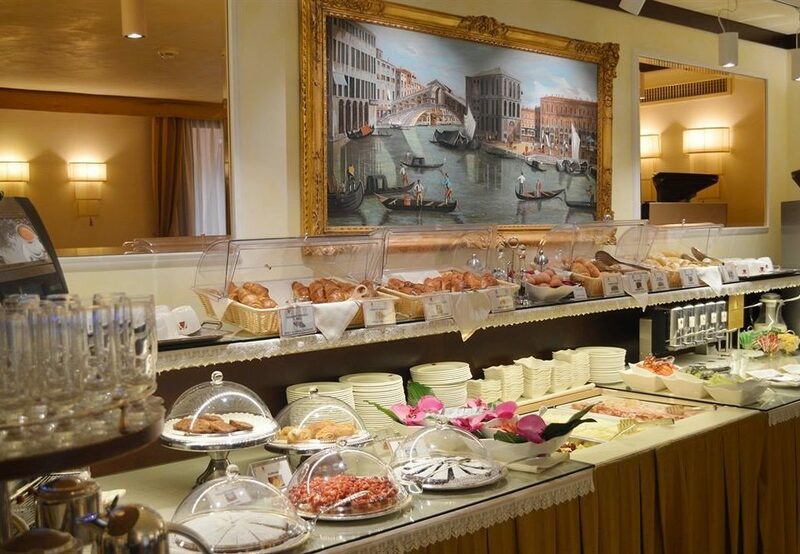 Days begin with an elegant breakfast buffet, opera playing softly in the background. After a day of exploring the city on foot, a refreshing cocktail in the Incontro bar might be in order. Anyone with a serious interest in food should request the tasting menu at L’Alcova, the ground-floor restaurant overlooking the Grand Canal, which serves up dishes with ingredients from Venice’s own lagoon. 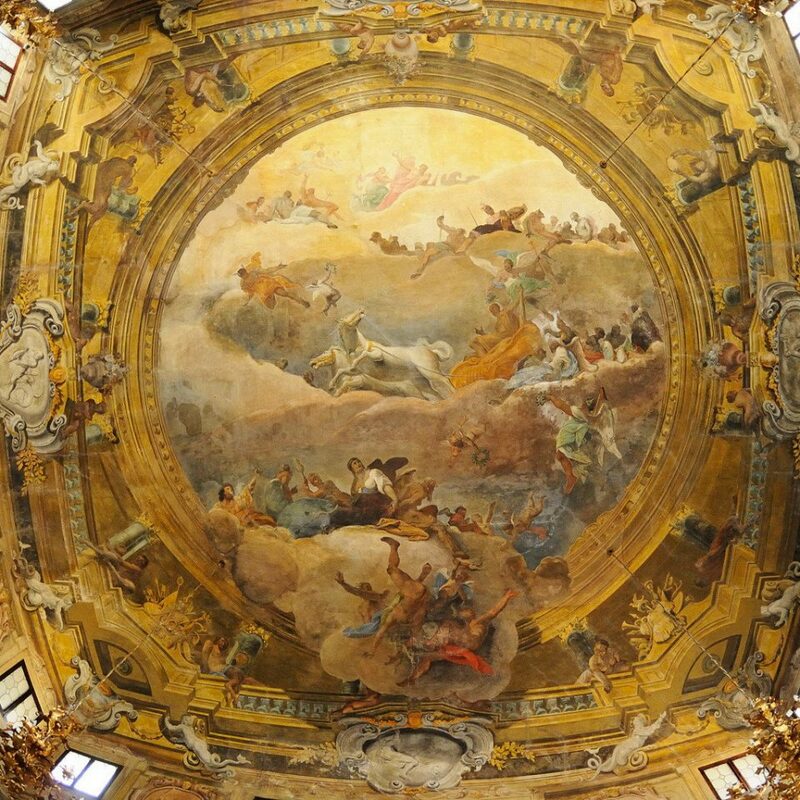 Ca’Sagredo grants you a window into the lives of Venetian nobles. 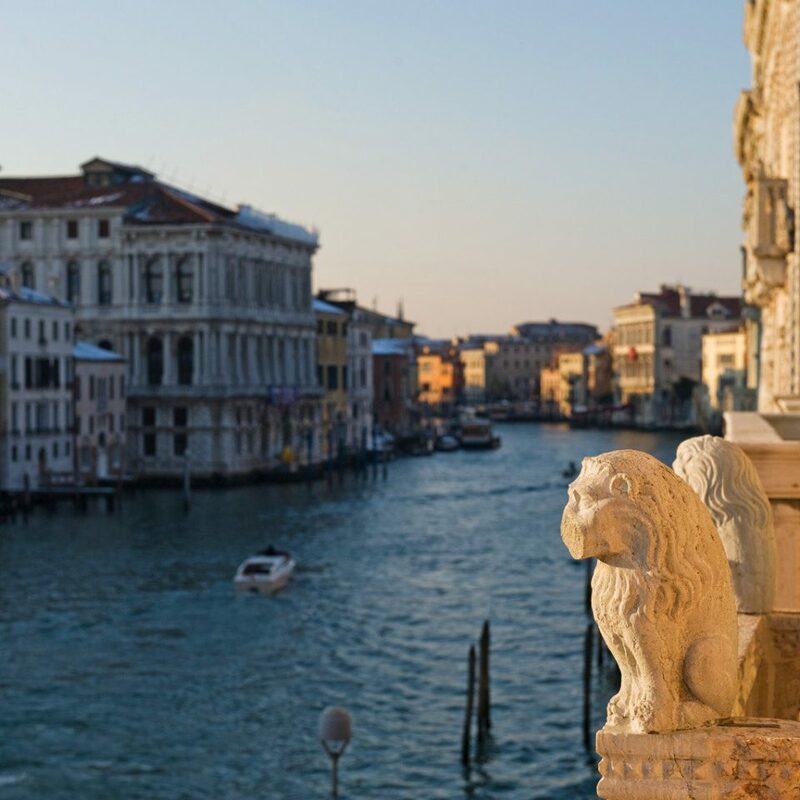 Step onto the ornate stone balconies to take in the very same Grand Canal views the Sagredos once saw. 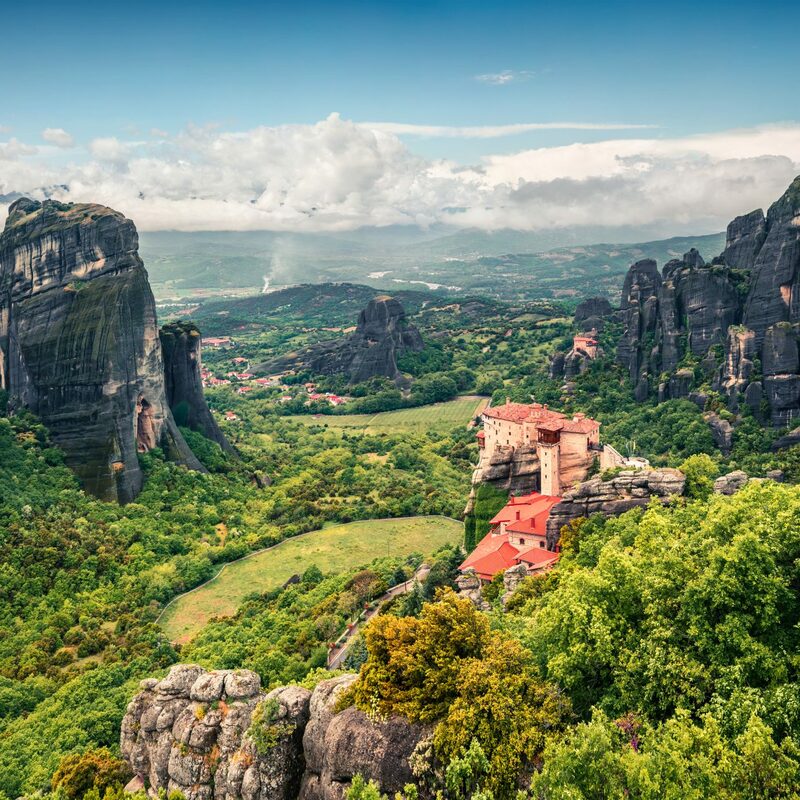 You’ll walk the same marble floors, feast beneath the same dramatic frescoes and admire the same sculptures as the privileged nobles who came before. You could get used to this. Even the ride from the airport feels like sightseeing when you board a water taxi, which will bring you through various small canals to the private entrance of Ca’Sagredo. 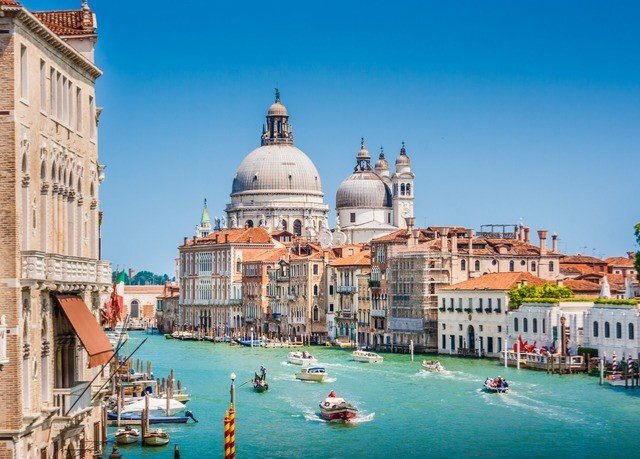 Gain another perspective on Venice by climbing to the top of the campanile in the Piazza San Marco to gaze out over the red rooftops. Wander through the Rialto fish market early in the morning to watch chefs and locals bargain for seafood and produce. Taste dishes from executive chef Michele Potenza, cooking in back-to-nature style with local products such as lagoon clams. 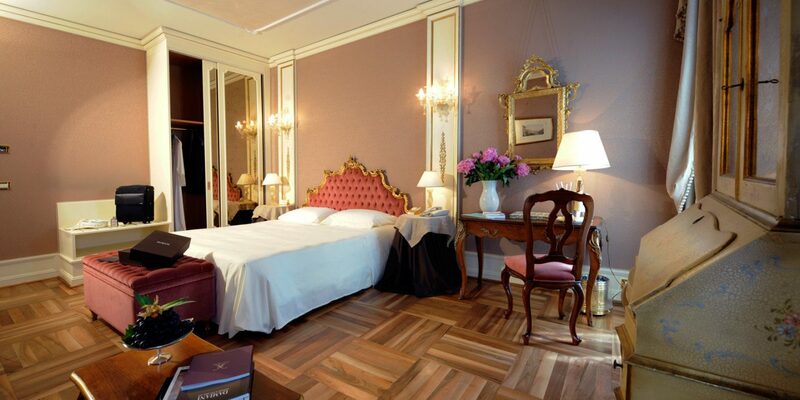 Very nice hotel located on the Grand Canal in Venice. 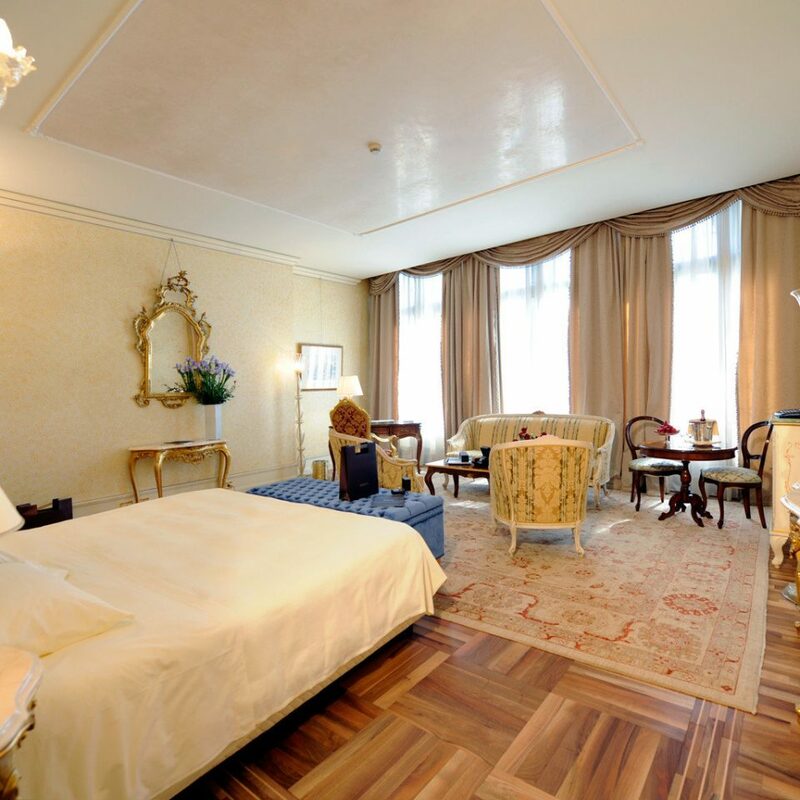 We had two suites and they were fantastic...very spacious and well-appointed with amenities. The staff were very helpful with any questions we had. I made a reservation with points, I had to cancel the trip and they charged usd 900. never said that canceling they charged you, they are scammers. Do not reserve because the attention is bad, they never answered my mail or call. 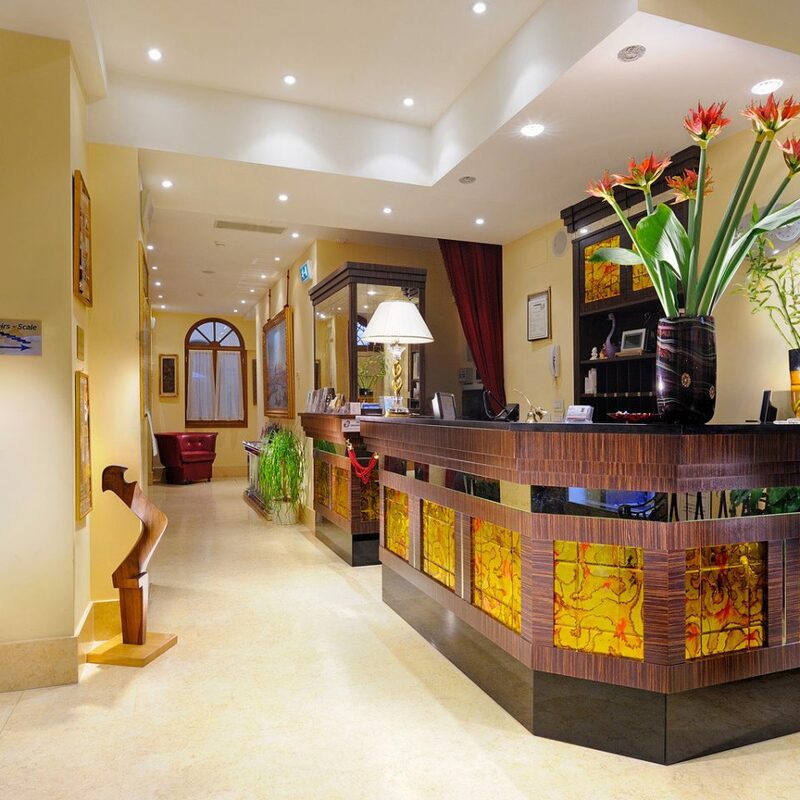 We booked this hotel as it looked so beautiful in the photographs. And the 2nd floor is truly lovely. 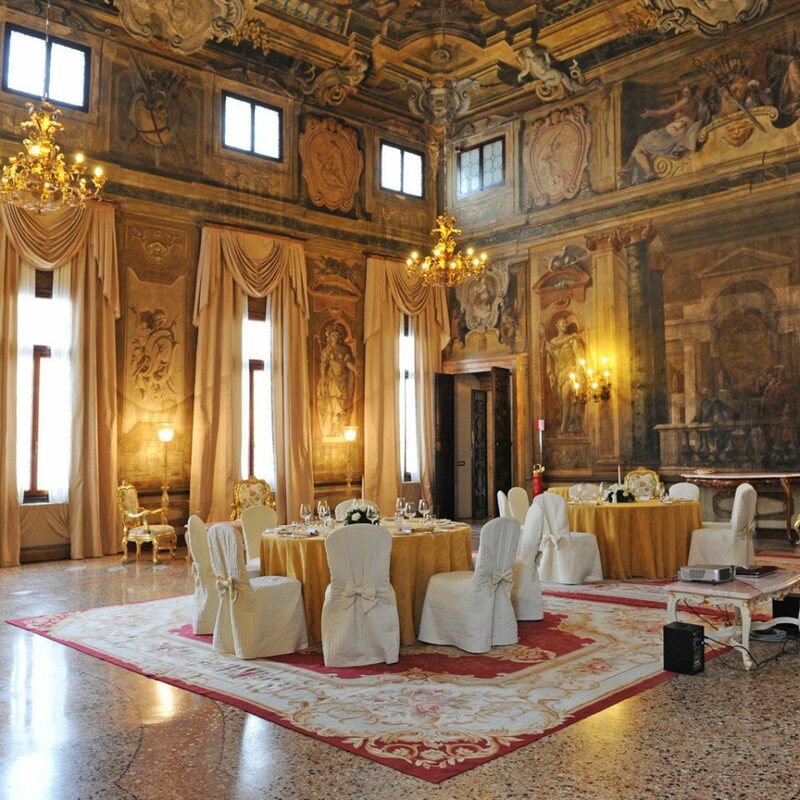 Breakfast is in amazing painted rooms of such great historical significance that the hotel is classed as a national monument. And that does present a bit of a problem. People walk in to inspect the rooms whilst you are having breakfast. But what I found really tricksy was that we were not allowed a kettle in the room. The hotel were fully aware that my mother has dementia and is 81 so a cup of tea late at night or very early in the morning in a 5 star hotel is pretty useful for us. But kettles are not allowed in the rooms. And, on the morning of leaving very early to get to the airport, they were unable to provide fresh juice, hot tea or coffee or anything pretty much. We got down to reception at just before 6 am to find a flustered couple who had been waiting nearly 30 minutes to have their credit card processed. The Night Manager was rude and simply could not cope. He refused to let them leave, despite the fact all hotels have our card details and know where we live and a copy of our passports. He then refused to bring out our luggage I had put in a side room, they told me safely, overnight. We had a taxi waiting to get us to the plane on time. Running a 5 star hotel means getting your guests to their flights on time and in a good state of mind. This did not happen. The girl was nearly in tears. My blood pressure was raised considerably and for that reason I cannot contemplate returning. Other than the above, the staff were nice enough but one girl at reception was unable to tell me which vaparetto stop to get off at for the Guggenheim Museum. 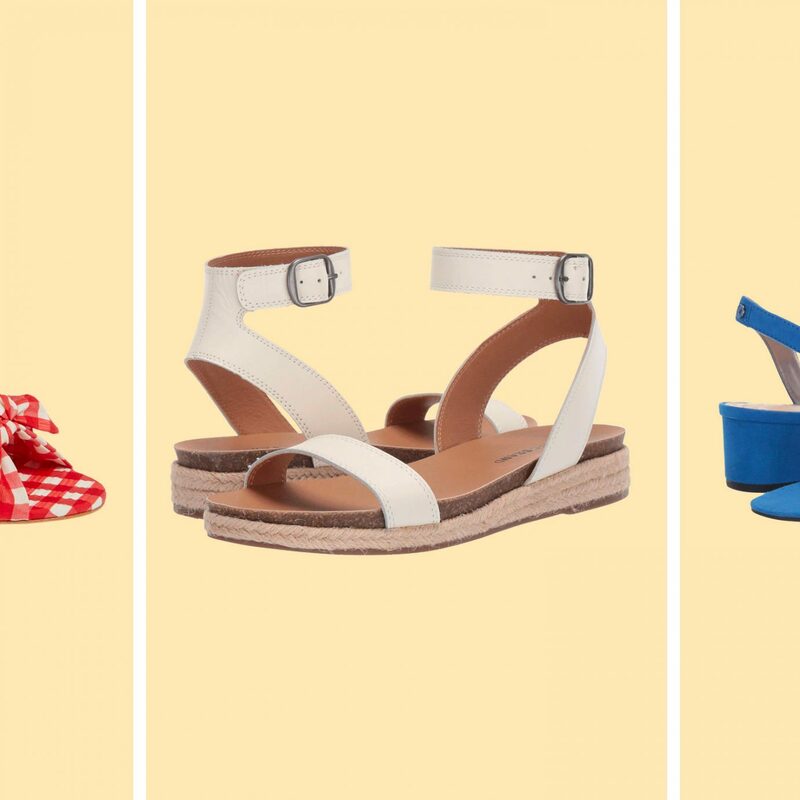 Kind of a Venice basic I would say. Our tiny shower soap was not replace all week until I asked for it to be done. The terrace was nice when open for a cafe or drink. The restaurant's food was very good but very expensive and the dining room quite small. Lovely staff in there. Also some nice concierges. This hotel needs to up its game. Shame really as the location at the Ca d"Oro vaparetto water bus stop is a good one and makes you go up and down the Grand Canal to get to St Mark's Square and its a very nice walk back. British Airways Holidays were super helpful, as always, both ends at the airports and speaking with the hotel before we went. Spent 3 nights here in March 19. We got the water bus from the airport (27 euros each return) then got off at the Rialto stop (about 1 hr from airport). Hotel was a 10 minute walk, which is a bit challenging with luggage as there are some small bridges on the way (all with steps), though you could probably get a smaller boat right to the jetty next to the hotel to avoid the walk. Reception staff polite and porter took our suitcase and showed us to our room on the 4th and top floor. We stayed in a standard room which was beautifully decorated and very generous in size with a large and comfortable bed and huge bathroom. The decoration was all in keeping with rest of hotel, very Venetian. Breakfast was fine, good selection of cereals, fruit, pastries, yoghurts, bread, toast, sausages and eggs. Location is fantastic, 10 minute walk to the Rialto bridge, 15 minutes to St Marks Square, 10 minutes to ferry stops to go to other islands. Would recommend hotel to anyone but having paid with our air miles, can’t comment on whether it’s good value for money. We were booked here with only the knowledge the internet could provide. Our agent said we would enjoy the Hotel and location.Our expectations were surpassed! We were stunned by the interior beauty and the view from our room. We had recently viewed the Movie "The Tourist", and were very pleased to see, across the canal, the hotel, deck and outdoor shopping area where Johnny Depp ran to evade the intruders in his room. Having the gondolas "parked" right out the side door was very convenient, too. Oh, the canal side dining was excellent, too.